Would you like to join our friendly Connevans team? 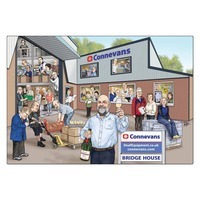 Connevans Limited is an independent family run company established 50+ years ago and specialises in meeting the needs of people who are deaf or hard of hearing. We employ approximately 30 people and operate from modern air-conditioned premises in Merstham, Surrey, which house all activities from administration to production and dispatch. We are driven by a strong family ethos with a friendly attitude. Our job vacancies in Merstham, Surrey, are shown below. Sorry, we do not currently have any job opportunities. Connevans is an equal opportunities employer.